يحظى فندق Windmill Hill Lodge B&B بمكان متميز في محور المدينة والاستمتاع بـ سياحة, مطاعم, ثقافة في هذه المنطقة الفاتنة. يجذب هذا الفندق ذو 3.5 نجوم، والذي يبعد 1 km فقط عن وسط المدينة و 14 km عن المطار، الكثير من الزوار سنوياً. يضفي محيط الفندق اللطيف وقربه من أكثر المعالم السياحية جذبًا سحرًا خاصًا على هذا الفندق. كما يقدم Windmill Hill Lodge B&B الكثير من الخدمات لإغناء رحلتك في المدينة. يمكن للنزلاء الاستمتاع بالميزات التالية: واي فاي مجاني في جميع الغرف, واي فاي في المناطق العامة, صف السيارات, التوصيل من وإلى المطار, خدمة غسيل الملابس أثناء إقامتهم في هذا المكان الرائع. في الفندق غرف نوم يتجاوز عددها 8، كلها مجهزة بعناية وجمال وبعضها مزود بـ تلفزيون بشاشة مسطحة, اتصال لاسلكي بالإنترنت, اتصال لاسلكي بشبكة الإنترنت (مجاني), غرف لغير المدخنين, تدفئة. كما أن مجموعة الخدمات الواسعة الموجودة في الفندق لضمان راحتك تترك لك الكثير من الخيارات لقضاء وقتك أثناء فترة إقامتك. إن كنت تتطلع إلى إقامة مريحة وهادئة في المدينة، فستجد في Windmill Hill Lodge B&B بيتك الثاني. The hotel serves very good breakfast and the host is very friendly and nice. 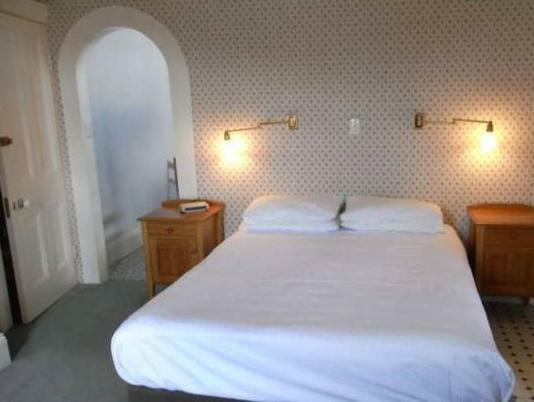 The B&B is a little old but it's value for money as it is centrally located. It was the worst place, whoever rates it needs to revisit it. Room was old, smelly,bed terriable,linin old,shower really small,toilet old old old. The owner Steve is very friendly, clean and comfortable with good wifi. Proximity to places of interest. Breakfast and private comfortable room. Fantastic private accommodation close to places of interest with a great breakfast. Room was spotless with free wifi. Owners were lovely. Steve and his wife were great hosts. The house does have a bit id age since it is built inthe 18th century but the interior were well-maintained. Also, the brekafast is NOT to be missed. Steve and his wife serve home-made bread, poached fruits and fruit jams. Even their honey is from the bee hive in their garden! The best B&B we've ever stayed in. It was a great location for us to explore all of Tasmania in day trips. Steve was the best, offering advice and tips. Great breakfast with different varieties. Located at the top of the slope, a bit difficult to access without a car. Very comfortable old family style B&B. Friendly staff. Close to town. A little disappointed with room. The worst we had had in our holiday. But very reasonable. A good location and a delicious breakfast. Also a very friendly host. Tasty and warm homemade breakfast and the host is friendly and he's been very helpful. i arrived this b & b before noon but steve (host) welcomed me and explained about the town with map how i can access to cbd area while room was ready. room was spacious and i felt cosy. breakfast was served from 7:30 to 9:00 every morning and homemade bread, jam, honey, muffins, youghrt and some fruit compote were delicious. during breakfast time, steve came to the dining area often and we enjoyed conversation. this b & b is located on the hill so there are a few slopes between cbd & this place, so i don't recommend if you are traveling alone without car and if you have problem walking. Steve is a wonderful host of the B&B. 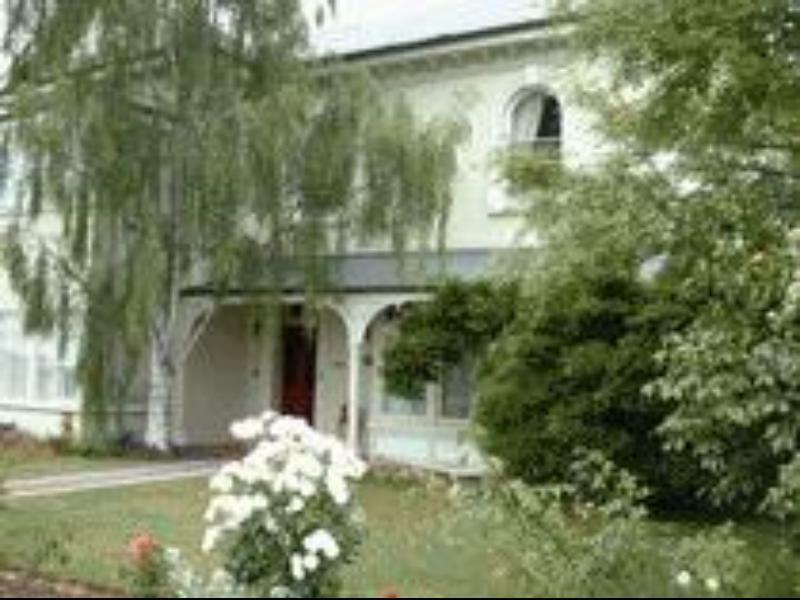 The place is full of old charms of Launceston with history that dates back to 1850. The place is well kept, bed is wonderfully soft and the breakfast dining room is just splendid for the palettes. Parking is plenty and there is free WIFI. Perfect place for a big family or loving couples. Definitely will head back to this place next time around. The exterior of the place was lovely. Looked like an English cottage and the exterior was old but well maintained. The rooms were clean and the breakfast that was lovingly made by the hosts was delicious! There was a wide variety of food to choose from. The only thing that I thought they could have is an air-con or a fan of some sorts. Although it was still cool during summer, the room had bad ventilation even after we opened the windows. Though our booking did not reach the host but we were still served with trust. You can feel the age of the house from the the furnitures and decorations but still provide a home feel & comforatble environment. Host was very helpful and provide directions for enjoyable dinning. Breakfast was served in a nice dinning room with homemade bread and muffin as well as honey from backyard. Received a warm welcome upon arrival and our host was wonderfully helpful with directions to nearby attractions. Room was very comfortable and the location nice and quiet. We found the homemade breakfast exceptional, especially the jams and honey.We would not hesitate to stay at the Windmill Lodge next time we visit the Launceston area.